Several Latin America university researchers and NGOs’ representatives have called for the immediate release of Sahrawis held against their will by the Polisario mercenaries, who are armed, funded and sheltered by the Algerian regime. During an international conference organized lately in Mexico, the speakers also called for dismantling the Polisario armed group, which is threatening the stability of the region and having close ties with terrorist networks and jihadists operating in the Sahel. 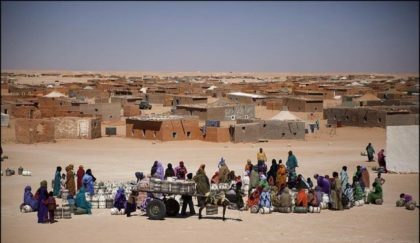 According to representative of Global Africa Latina Foundation, the Polisario-controlled Tindouf camps have become a “fertile ground” for Al-Qaida recruiters and traffickers of all kinds. Mme Jacqueline Andrea Hernandez, head of the Center for Studies of Popular Democracy stressed the need for the international community to carry out a census of the Sahrawis held in the Tindouf camps, de-ploring the Algerian authorities’ refusal to allow UNHCR conduct such a census because the size of the sequestered population has been de-liberately over-inflated for political reasons to blackmail and receive undue international humanitarian assistance. She also denounced the use by the Algerian regime of the Sahara issue as a pretext to undermine Morocco’s territorial integrity and divert attention of the Algerian people from the deepening social and political crisis in their country, which is on the verge of implosion. Other speakers welcomed Morocco’s autonomy plan for the Sahara described by the international community as “serious and credible”, hailing the decision made by several Latin American Parliaments to suspend ties with the Polisario, a terrorist organization, which should be tried for the crimes against humanity committed in the Tindouf camps.